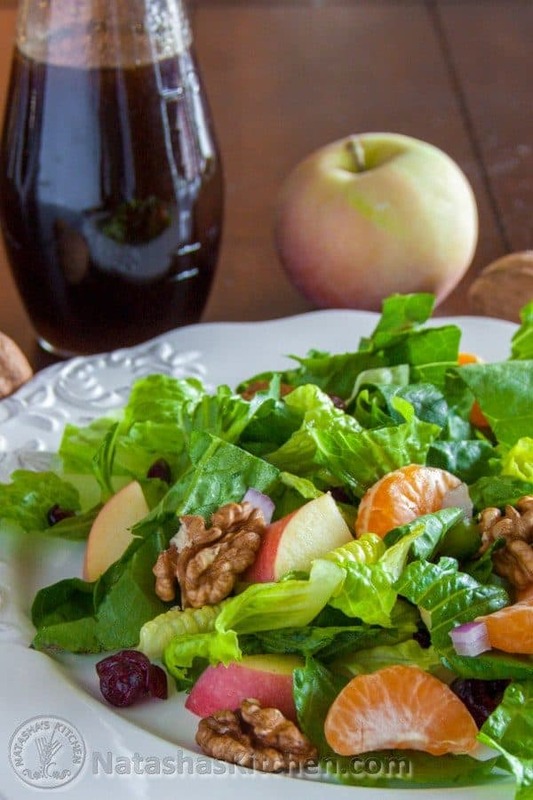 It seems like we just tossed things into this Mandarin Apple Salad as we went along and it turned out fantastic. I guess you really can’t go wrong with this list of ingredients. We don’t have the feta cheese in the photos because we added it while we were already wolfing down the salad, but we both really liked the feta. Sweet, salty, tangy. Major crave! 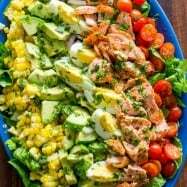 My son loved this salad too. Yeah, he eats leafy-type salads (my little guy just amazes me). 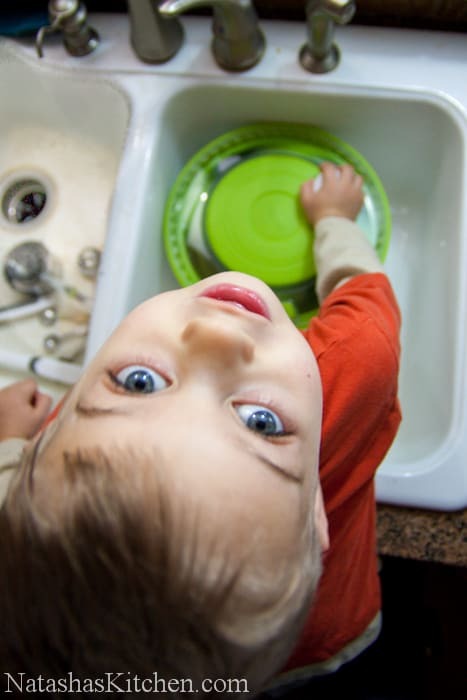 He also loved to help make the salad; washing, spinning and adding all the fixin’s. Please check your email and reply within 72 hours. 1. 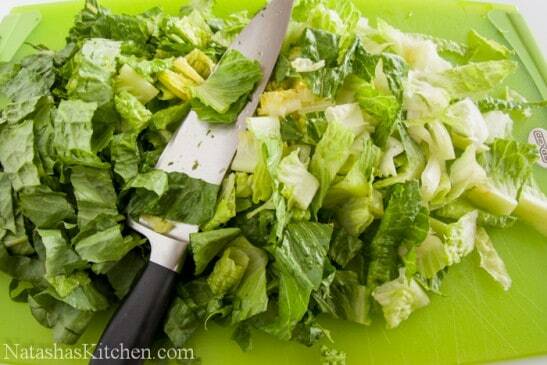 Start off by washing, chopping and spinning dry your romaine lettuce. The kiddos can get involved with this step. This spinner is unique. It’s like no spinner I’ve ever tried because it has a turbo fan inside that adds large volumes of air which blows the water off your greens. It does what it’s supposed to do; it really spins the salad dry! It’s also very sturdy. 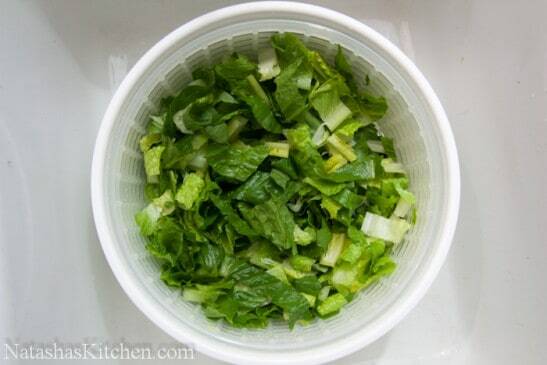 Transfer your greens to your salad bowl. 2. 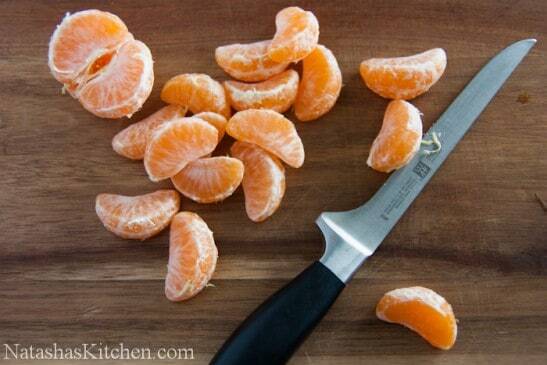 Peel and separate your mandarins. Toss into your salad bowl. 3. Chop your apples into 1/2″ pieces. 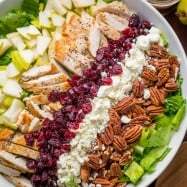 If you aren’t eating your salad right away, add apples to a small bowl filled with juice of 1/2 lemon + 1/2 cup water to keep from browning. Just drain and toss in when ready to serve! 4. 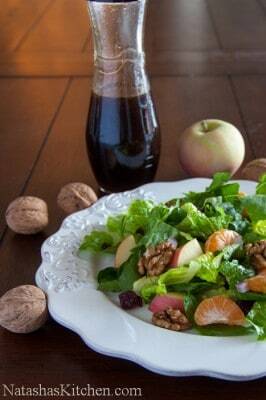 Top salad with chopped onion, walnuts and craisins. 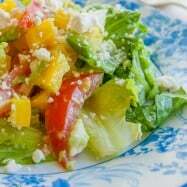 Add dressing to taste and then sprinkle with feta if you wish. Voila! P.S. This Dexas salad bowl, Dexas klip-cup and Dexas Salad Hands . 3. 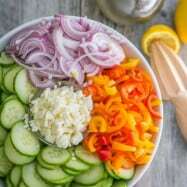 Dexas Salad Bowl (This bowl can be used for chips and dip too!) Pick your color: lime green or purple. 4. Dexas Klip Kup; an 8 oz cup to hold your salad dressing, or dip. We put the walnuts in the Klip Kup because our son doesn’t eat nuts; just another use for it.What a clever invention! 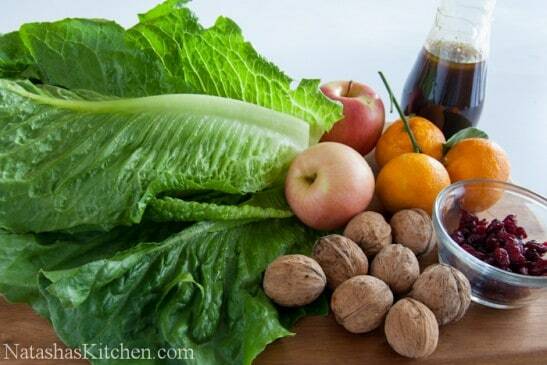 Wash, chop and spin dry your romaine lettuce. 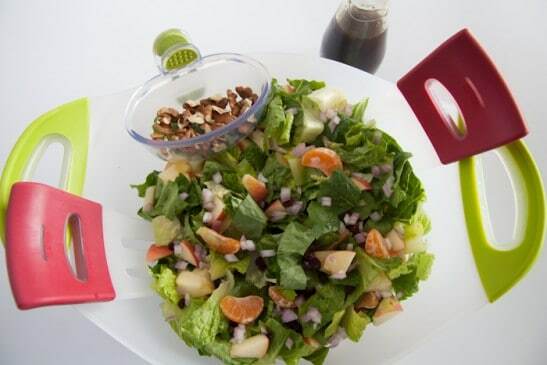 Than transfer your greens to the salad bowl. Peel and separate mandarins. Toss into the salad bowl. 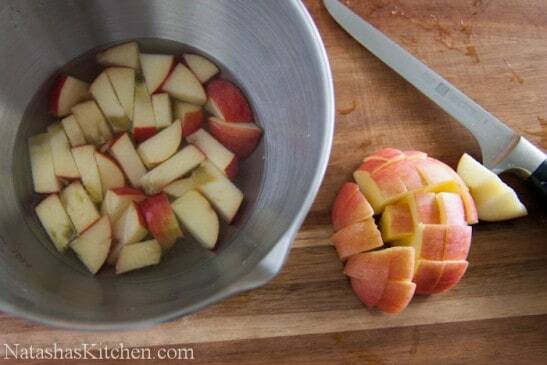 Chop apples into 1/2" pieces. 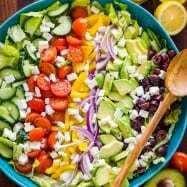 If you aren't eating your salad right away, add apples to a small bowl filled with juice of 1/2 lemon + 1/2 cup water to keep from browning. Just drain and toss in when ready to serve! 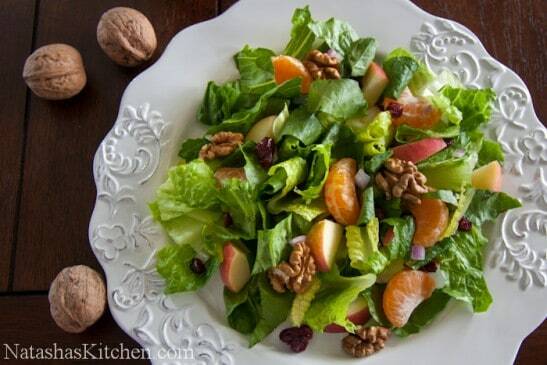 Top salad with chopped onion, walnuts and craisins. 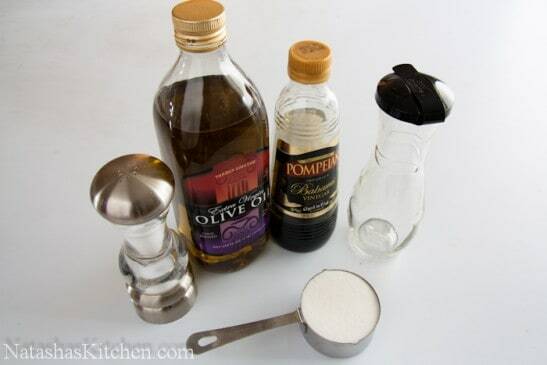 Add dressing to taste and then sprinkle with feta if you wish. Voila! Also shared this giveaway on Instagram. Simple greens with ranch/mayo/freshly minced garlic mix usually hits the spot. 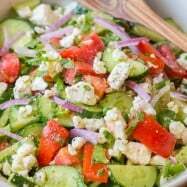 Tomato, cucumber, onion, and parsley — with olive oil and garlic salt!